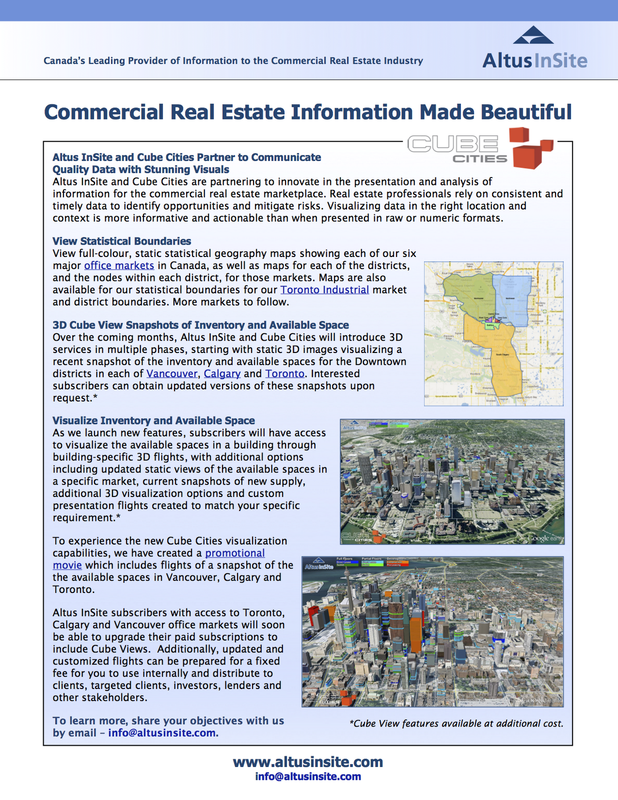 Cube Cities has partnered with Altus Insite to produce high quality data visualizations of the major Canadian office markets. 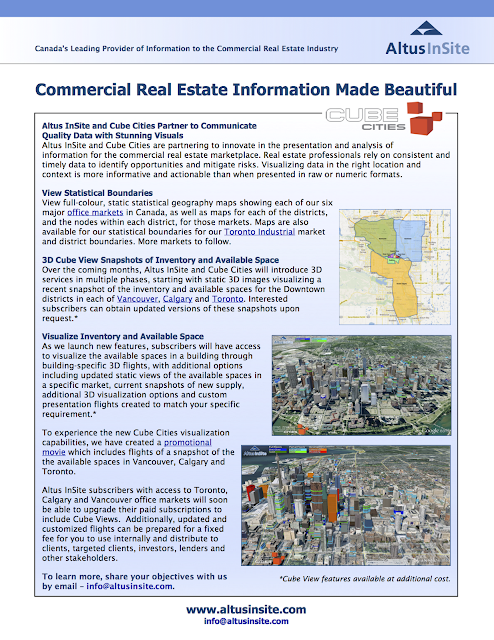 Toronto, Calgary and Vancouver can be seen in these Cube Views that show leasing information in existing buildings as well as leasing activity in buildings that are pre-leasing and under construction. Other Canadian cities will follow. 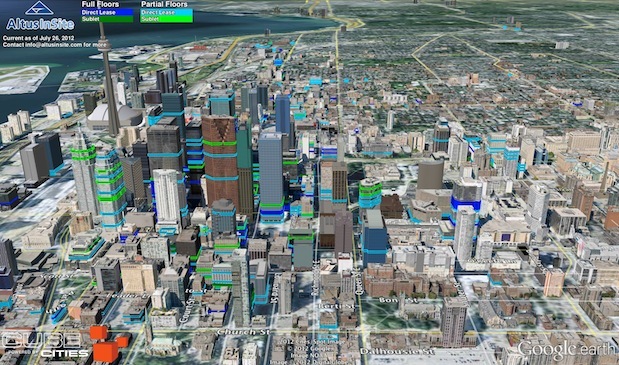 To get access to more detailed 3D visualizations and for more information about this exciting new initiative, click here. Note: Make sure to play these videos fullscreen and in 1080p HD to see finer detail.